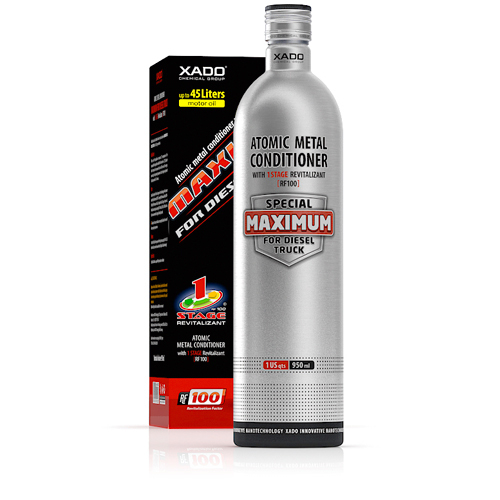 The main new development of the season, ATOMIC METALL CONDITIONER, has got now two variants of package – a trade and a gift one. Ordinary trade package is a rectangular box. Along with retail outlets it will be sold in vending machines. A gift variant is more stylish due to blister and original design and contains a souvenir: a keychain and a USB flash drive. We would like to remind you that four kinds of AMC have been produced in this series. These new products differ in purpose and grade of revitalization effect (RF - Revitalization Factor). XADO Highway (RF 5,5). 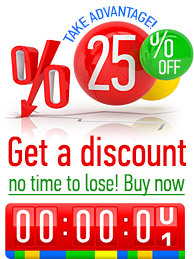 Provides reliable engine protection in usual operating modes. It is recommended to use during each oil change. XADO Tuning (RF 33,3). Indispensable under loaded operating modes. 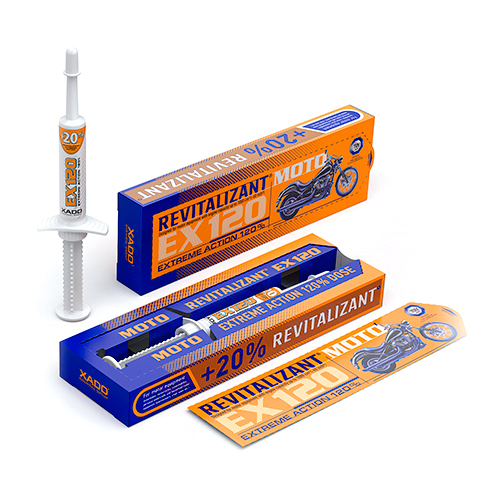 It is recommended to use during each oil change. XADO 1 Stage New Car (RF 100). 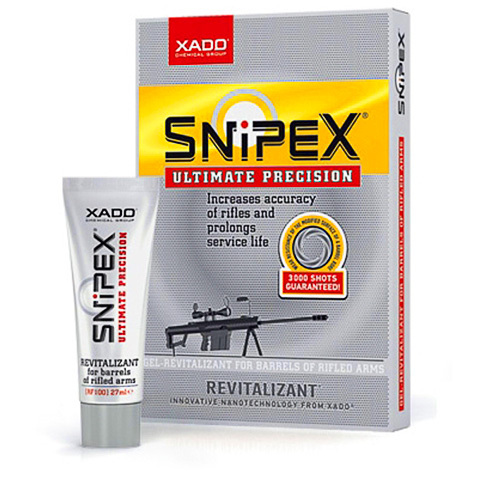 Provides local precise adjustment of parts to each other while running-in and the top level of engine protection of a new car. Guarantee of wear protection for 100 000 km. 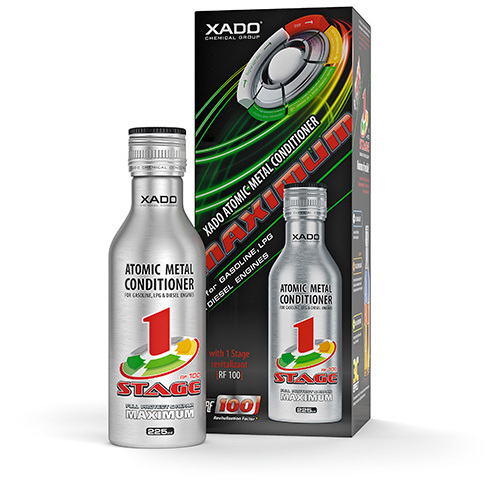 XADO 1 Stage Maximum (RF 100).Restores and provides the top protection level of the engine in cars with more than 20 000 km run. Guarantee of wear protection for 100 000 km.